People working in adult education will be able to access news and events, and network with colleagues across Europe, as the second version of the adult learning community platform EPALE has gone live in English recently, with several important new developments, including an events calendar and a newsroom feature. Site users will now be able to have adult learning news delivered straight to their inbox by subscribing to EPALE’s newsletter, as well as joining EPALE conversations on social media. 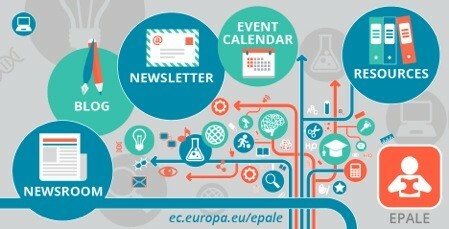 EPALE also has an active presence on Facebook, LinkedIn and Twitter, with connections to professionals from all over Europe. EPALE development is steered by the European Commission and it is managed through the Education, Audiovisual and Culture Executive Agency. It is delivered by a Central Support Service which will be supported soon by a network of National Support Services. What is EBSN’s role in developing EPALE, and what EPALE can offer to EBSN? 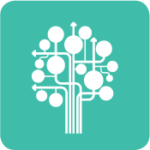 EPALE is implemented by a consortium of three partners, led by ECORYS, the European wide consultancy firm with an EPALE project office in the UK, supported by EBSN and the ICT development company Inrasoft. Basic skills and in its broader sense ‘life skills’ are one of the highlighted themes on the portal due to the European Commission’s special attention and priority dedicated to the area. EBSN is responsible for creating and delivering relevant content as well as for facilitating a virtual community of practice in the field of basic skills, including research, policy making, and practical implementation including teaching. Taking part in the building of the EPALE platform provides a unique opportunity for EBSN to increase general awareness and to contribute to putting and maintaining basic skills on the top of the European agenda and discussions when it comes to Adult Education and Learning, both at national and at European level, since the platform users will come from as many as 37 countries. Potentially it offers an excellent place to reach and meet the relevant stakeholders, actors and interested professionals also outside of the existing EBSN network. Through EPALE EBSN can work on its strategy and initiatives in a much broader environment, ie. raising and discussing relevant questions and issues of the professional field, promoting professional development and mutual exchange of experience, enhancing transfer of knowledge and best practices, bringing together and sharing relevant data and resources as well as facilitating bilateral contacts and international partnerships. Contents can be translated into 24 European languages, thuscreating interesting synergies between national and European discussions and processes. EBSN is represented in the Editorial Board of EPALE, takes part in meetings with the Executive Agency, responsible for the thematic coordination of “life skills” which includes systematic collection of information, studies, best practices in the theme, presentation of news and events, publishing articles etc. Coordination of EBSN activities and contribution is being taken care of by the EBSN Secretariat, butthe EBSN’s contribution heavily depends on the information, resources and expertise available in the network. The agreement with Ecorys also allows EBSN to subcontract experts from the network to carry out specific tasks. How EBSN members can directly benefit from being part of the EPALE Consortium? The Secretariat is still discussing with ECORYS some of the finer points of our agreement regarding our role in EPALE, and the platform has barely been launched. Maria Toia from the EBSN Executive Committee has been proposed to take the role of thematic coordination on “Life Skills”, and so far the reactions are very positive and most probably we will able to make an agreement on it in the coming days. Although much remains to be clarified, but we firmly believe that our involvement in this Commission endeavour will have positive results both for the network and for each of its members. So we ask for your cooperation. In the coming months the Secretariat will ask, on a regular base, for different types of information and contributions, collecting freely available resources of public interest, and it will also address specific issues of common interest asking for available news, summary of research etc. So please do not be bored or bothered by those requests, but if you have something to share or discuss, do not hesitate to contact us!